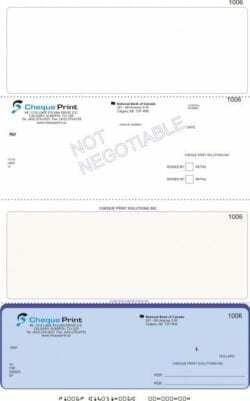 Cheque Print offers you the option to add a custom logo to your business cheque order for as little as $0.09 per cheque in up to four colours. 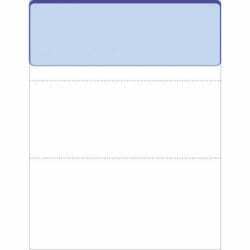 The logo can be any size, and you don’t pay more for larger logos or screened (faded) logos on corresponding cheque stubs. 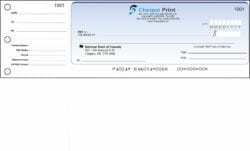 This is much more affordable than most other cheque printers, especially banks, where ordering custom business cheques with a logo can be a huge hassle, is usually only available in black and white, and typically delays the order. 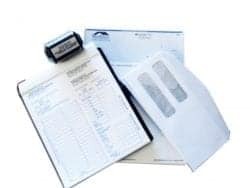 At Cheque Print, your order isn’t delayed by the addition of a full colour custom logo—since it’s all done in-house, we can take the time to make sure we get it right without any additional hassle for you. 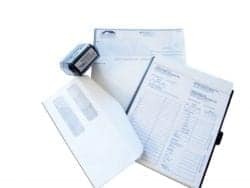 Why Add A Logo to Your Cheques? 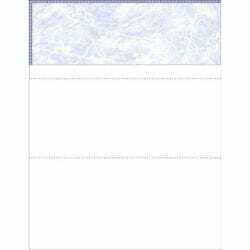 Many people are unaware of how easy and affordable it can be to get fully custom business cheques with their logo on them. With consistent branding being so important for business, it is an easy way to show that your company is professional and that you care about your brand’s image. 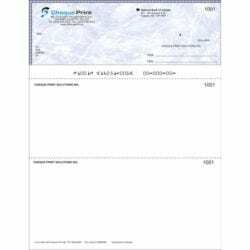 Our wide selection of background cheque colours compliments the look of a logo, and many people are surprised at how great their cheques can look. Some clients even use different logo versions or colours to help identify their different accounts, such as a US bank account or trust account. 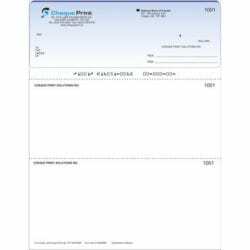 For any other questions about ordering business cheques with a custom logo from Cheque Print Canada, such as adding two or more logos, please contact us for more information. 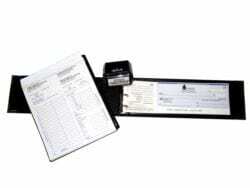 "I have ordered a few times from ChequePrint and each time their service is fantastic. I had a custom logo and layout that I wanted and the staff has been great sending proofs with any changes that were required. Tanya made sure that I was completely satisfied before shipping. 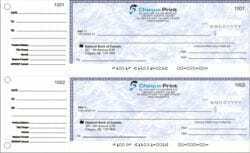 The best part is the cheques look amazing! 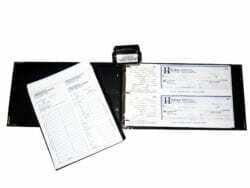 Very pleased with my experience with them."